Why blog, create valuable content and build networks on social media? However, I've never written a blog post on how to write a blog post and I was recently asked several questions about how to optimize a blog post, and other content, for SEO. Provide unique information of value. Format your blog, or other content, properly. Optimize your blog, or content, for search engines. Promote your blog using social media. Don't sell, inform. Write about your industry, or something you are passionate about, not yourself. Identify the persona for whom you are writing your blog. Answer questions your buyers and prospects have asked. The more specific the question the better. Answer without selling. Answer to educate and build trust. Focus on one topic per post. Don't cover too much. Don't take too much of the readers time. Today readers want "snackable" content. If it's too long, or a gray wall of type, it won't get read. Think about the content you, or your firm, produce on a daily basis. All of that is information of value. If a restaurant is changing its menu daily, it's menu can become a blog post and then be reposted on other social media channels. A retail store may want to feature products that are currently in demand or on sale. Images, both photographs and videos, make great content. Lowes is doing a great job of producing "how to" videos for do-it-yourselfers and posting them to their website, their YouTube channel and their Facebook page. Write consistently and frequently -- at least twice a week. The more frequently you share information of value, the more traffic you'll drive to your site. According to Copyblogger, eight out of 10 people will read your headline but only two out of 10 will read your content. As such, spend half your time writing your headline and half your time writing the content. The title should be less than 55 characters and include the keyword of the topic you are discussing. Include plenty of white space and images. The brain processes images 60,000 times faster than words. Make your post inviting and easy to read. Don't let any paragraph be more than five lines long. This will help your read focus on the content, not the clutter. Keep your readers in the front of your mind and the search engines in the back of your mind. People will share your blog posts if they find the information your share with them sufficiently valuable. Think about the long-term keywords you want to rank for. Pick one long-tail keyword to focus on. Place the long-tail keyword in each of the following: title, URL, image alt-tags, body and meta-descriptions. This is what a search engine will scan to understand what you are writing about. Include anchor text for your posts -- a word or phrase which links to other blog posts. By linking to trustworthy, reliable content you are building trust with the search engines. Assign topics to each blog post (e.g., I write about customer experience, customer satisfaction and employee engagement). Consider different offers for each point in the buyers journey or the sales funnel. I've found eBooks to be good top-of-the-funnel offers, webinars to be good middle-of-the-funnel offers and a free 30-minute consultation to be a good bottom-of-the-funnel offer. Calls to action are critical. If you don't tell your reader what to do next, it's not likely they're going to engage with you. Invite readers to subscribe to your blog and engage in a discussion. Ultimately that's what social media is supposed to be -- a social discussion. Include social media links of all of your posts and make it easy for readers to share with their family, friends and colleagues. Ideally you will share information of value that readers find so compelling they'll want to share it with everyone that's following them, some of whom will want to share on their social networks. This is how content goes "viral." What has worked for you when blogging? How are you getting more readers and more engagement with those readers? Great presentation by Chris Malone (@hcmalone), author of The Human Brand at a recent Triangle American Marketing Association meeting. Chris and his colleague, social psychologist Susan Fiske, conducted 10 studies across 45 companies to understand that consumers relate to companies, brands, and products the same way we perceive, judge and behave towards people. Keys to customer loyalty are to be warm and competent. If you're warm but not competent, you'll be seen with sympathy and neglect (e.g., VA Hospitals and the U.S. Postal Service). If you're neither warm, nor competent, you'll be seen with contempt and rejection (e.g., Walmart and Bank of America). If you're competent and warm, you'll be seen with admiration and loyalty (e.g., Honda and Zappos). If you and your employees can focus on improving your performance in these four areas, you can increase customer loyalty dramatically. We are in a relationship renaissance today. As we do more online via the internet, our interactions with people become more important. Customers may say they don't want a relationship with a company or a brand, but they do value relationships with people. As such, your customer-facing employees become the face of your business and brand. If you can make a difference in the life of another person, so they know you care, save them time, simplify their life, you'll increase the opportunity to having a loyal customer, if not a customer for life. If you, or your company, are focused on the short-term versus customers, you will not be trusted by customers. No trust means no customers. You, or your boss, may ask, "Does focusing on the customer pay?" According to Domino's Pizza, they attribute focusing on the customer to a 350% return on investment. Satmetrix has a lot of data on the superior financial performance of companies that have industry-leading Net Promoter Scores (NPS). Embrace significant change throughout the organization. Rebalance priorities whereby you're more focused on current customers than new customers. What steps are you and your firm taking to improve the customer experience and improve customer loyalty? You need to have all of your employees involved in your content marketing initiative in one way or another. What questions are being frequently asked by customers or prospects? Tell my about a "wow" customer experience that was provided. What did you do to solve a customer's problem? Empower your employees to be the best teachers in the world. If they need to show a client how to solve a problem, create a video to capture the solution and post it on YouTube. It starts at the top -- the CEO, and the rest of the c-level executives, must buy-in to the content marketing strategy. Hold a "why" workshop to teach employees why content is important and what it is. Explain the vision, mission and value of the firm to ensure everyone is in alignment. The first 100 -- how to get a lot of content fast. What are the exect questions that you hear from customers and prospects everyday? A Chief Content Officer -- without a catalyst, an organizer and a central leader, you will not sustain the momentum to continue to identify and share information of value. The editorial calendar -- the process of employees becoming teachers, and sharing information of value, should not be optional. Content guidelines -- be the same person sharing content as you are when talking to a customer at the coffee shop. Four types of employees -- 1) writers; 2) actors -- great for videos and on-camera interviews; 3) talkers -- great to interview for content; and, 4) questioners -- know the questions people ask and ask them all the time. Keep the culture going with newsletters, training, success stories. Keep people informed about the success of their efforts and the fruits of their labor. You can build awareness, traffic and leads with content marketing; however, it's a long-term commitment. Your customers, and prospects, are talking about you, your products and the level of service you provide. Are you listening? Thanks to Oscar Alban @Verint, Kristen Jacobsen @Calabrio and Mike Hennessy @IntelliResponse for an good disccussion of "How to Understand the True Voice of the Customer." I have been urging clients to listen intensely to their customers in order to meet their needs and expectations for years. As the social and mobile playing fields continue to expand, listening has become more difficult -- let alone intense listening. However, it can be done and needs to be on your radar. Customer expectations are changing daily as companies like Zappos provide consistently outstanding customer experiences. Know them as a result of their personal interactions with you. Offer them targeted and relevant content and promotions based on their past interactions with you. Know how they found you, what they like and don't like about you and how they want to do business with you going forward. Invest in social media and mobile as service channels. Let them control the shopping and service process. Customer experience (#cx) will be the primary differentiator between both B2B and B2C companies in the 21st century. What are you doing to provide your customers with a "different and better" customer experience than your competitors? 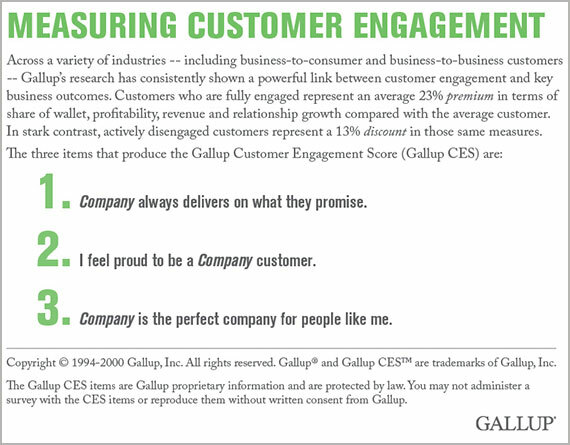 How well do you, and your employees, know your customers? For your business to remain relevant to your customers over time, you must be prepared to interact with, and serve, your customers across multiple channels and touchpoints in an integrated manner. While your business may remain siloed for organizational purposes, customer data cannot. Everyone in your company needs to have a 360-view of the customer at their fingertips to be able to provide the customer with an acceptable level of service. Customer information must flow seamlessly throughout your organization. Expectations -- customer expectations are outrunning companies' ability to deliver across channels. Companies that are successful at meeting customers' expectations will have a "first-mover" advantage. Employee knowledge -- customers know more about your products, services and prices than your employees. Will you invest in your employees to ensure this doesn't happen. The average financial institution spends 30 minutes trainng a teller before putting them in front of a customer. Unpredictable -- customers are using different, and multiple, channels to do different things. You need to be listening intensely online to know where your customers are and where they expect you to be. Don't forget about forums, blogs and online communities in addition to traditional social media channels. Loyalty -- a good customer experience in one channel is not sufficient to maintain loyalty if you're failing to fulfill customers' needs in other channels. It's critical that your contact center and your customer experience management teams (i.e., people, processes and technology) be completely integrated. The solutions available to engage with customers across channels are improving daily. Define your goals and objectives with regards to ensuring that your firm is delivering an excellent customer experience across multiple channels and then begin evaluating the platfforms and solutions that will help you achieve your goals. Talk with your customers about their needs, wants and expectations with regards to research, purchase and service currently and in the future. Engage your customers to understand what they consider to be an acceptable and an outstanding customer experience in this ever-changing landscape of content, product and service delivery. I am frequently asked by business owners what they can do to generate more leads and more revenue. Ensure your website is keyword optimized and that keywords are used in titles, meta descriptions and meta tags. There are numerous keyword optimizers available online. Grassroots SEO is tremendously effective in improving your website's performance in search engines. Ensure your website, and your emails, are optimized for mobile. 40 to 45% of emails are now read on mobile devices. 46% of searches are conducted solely on mobile devices. If your website is not optimized for mobile, you're missing a tremendous opportunity now and moreso in the future. Blog. Don't sell. Provide information of value to your target audience. The more you blog, the more traffic you'll get from organic search. Blogging five days a week has doubled the web traffic of several sites on which I've worked in less than six months. More traffic = more leads = more revenue. Empower and encourage your employees to participate in social media on your company's behalf. Leverage your employees' network and knowledge of social media to expand awareness and reach among prospects and customers. Ensure your employees are in complete alignment with, and understand, your vision, mission, values and strategic positioning (a.k.a., what makes you different and better). Provide an outstanding customer experience that is so great, your customer shares the story on social media. Recognize employees who provide these experiences for customers. Thanks customers when they help promote your business on social media. Have an emotionally powerful, yet simple, story about your business -- your vision, mission or values, that your employees and customers know and feel compelled to share with others. Ask your customers what makes you "different and better" than your competition and then make sure that message is the unique selling point in all of your marketing communications. Treat prospects like customers. Continue to provide information of value until the prospect is ready to buy. Doing so creates trust that will lead to longer-term, more profitable relationships. Be transparent. Answer all customer and prospect questions openly and honestly. This will build trust and it will also weed out those prospects who are not a good fit for what you have to offer anyway. Give the customer what they want, at the price you want. If you don't give the customer what they want, they will find someone else who will. Be there for them. Make their lives simpler. They'll buy more from you in the future and tell their friends about you. What ways have you found to generate more leads and more revenue? I had the pleasure of hearing D. Keith Pigues, author of Winning With Customers, speak to the Triangle American Marketing Association on "Helping Companies to Win by Helping Customers Win." Do we know specifically how we help our customers make more money? Do we understand how we will help our customers make more money in the future? Do we measure, and track over time, how much money our customers make by doing business with us? Do we measure and track how much more money our customers make doing business with us versus the competition? I doubt very many companies can give a positive and informed answer to all four questions. The key is to develop such a good relationship with your customer that you can have this conversation on an ongoing basis, know the answers and help your customer improve revenue and/or reduce costs. Your customer's reality should be your reality. Does every member of your management team know what makes you "different and better?" Does every employee know what makes your firm "different and better?" Does your home page tell prospective clients what makes your firm different and better -- what you can do for the customer, different and better, than the competition? To be successful and sustainable, you need to know the differential value proposition of your business -- how much more does the customer make doing business with you versus the competition? Identify the revenue or cost associated with each product or service your provide your customer. Identify the two or three differential value attributes that add value to customer revenue or reduce costs more than the competition. These are invaluable insights to have that will improve your customer relationships as well as increase the likelihood that you will have customers for life. Execellent article in a recent edition of Customer Relationship Management magazine by Leonard Klie reminding us of the basics of providing customer service across multiple channels. Telephone and email still make up 85% of customer service interactions; however, this will change with greater use of social media channels. The high-profile, and exposure, of social media, and the possible negative comments, means that social media is being viewed as being far more important than traditional channels. According to ContactBabel, and many other research firms, expect social media customer contact to double by 2015. The rising importance of customer engagement as well as the recognition of the value of sharing ideas in real time are driving the growth of social customer care. Social media is the primary customer service channel for 36% of Gen Y consumers, only slightly behind email and text messaging among Gen X. Most companies are not fully integrated to provide customer service via social media with the same quality as they are via telephone or even email. Choose the right channels. Ask customers which channels they want to use and become proficient in those channels. Customers are growing increasingly more sophisticated in seeking help themselves, with many preferring to look for solutions to their problems on their own before contacting the company. Support customers with up-to-date knowledge bases that are readily available on your website. Consider putting product demos and tutorials on YouTube. Your customers, and prospects, will be grateful for the information and you will earn awareness and trust. Define your company's rules of engagement. Empower your CSRs to handle all incoming issues from customers. Form dedicated teams whose sole purpose is to manage social media. Social-customer care teams should be trained and knowledgeable customer service employees. Everyone on the social media response team should be following the same protocols and providing the same answers to the same questions for consistency and efficiency. Build a library of responses and create an ongoing list of frequently asked questions. The answer to each question is also a potential topic for a blog post. Listen intensely. Monitor social media channels to learn what customers and prospects are saying about your brand -- what it delivers and where it fails to deliver. You can also use social media to ask for feedback about your brand. Be responsive. Respond in a timely manner. The faster you respond, the more impressed your customer will be. According to Oracle, Twitter users expect a response within two hours. According to Zendesk, 55% of consumers will follow-up with a phone call when their social media inquiries reamain unanswered. Posts to Twitter should be answered in 30 minutes, a response within 15 minutes is even better. For Facebook, a 24-hour response is minimally acceptable; ideally, a response should be made in 25 minutes. For LinkedIn, YouTube, Pinterest and Yelp, responses should be posted in no more than 24 hours, though same-day response is preferred. Be reliable. Companies can turn complaints or concerns into opportunities to showcase their responsiveness and their customer service values. By acknowledging and apologizing for mistakes, companies can turn uncomfortable, and potentially damaging, situations into opportunities to show their followers they truly care. You can generate positive sentiment by acknowledging the customer, apologizing when appropriate and thanking them for bringing the matter to your attention. A complaint handled properly is an opportunity to solve the same problem for customers who may be following the conversation. Do you what you say you will do, when you say you will do it. Be real. Have a personality. Do not gloss over customer posts with generic responses. Personalized, unique interactions on social media create stronger customer relationships with the brand. Let CSRs use their names or initials in responses to let customers know they are dealing with real people. Always be professional and courteous. A little empathy goes a long way. Customers don't expect a company to be perfect all of the time, but they do expect empathy, professionalism, honesty and transparency. Be honest and fully transparent at all times. Know your customers. Link your CRM system to social media engagement platforms so you know who is saying what. Companies need to track and record each customer's social interaction history to give agents insights into previous issues, sentiment level, interaction frequency and previous agent replies. Stay on the customer's preferred channel. Be prepared to move a conversation to a private and secure channel, such as phone, web chat or email, when you need to keep some information out of the public domain. I recentlly did this with Dell and KitchenAid, they suggested we take the conversation off Facebook to email. I was perfectly comfortable doing that as long as the issues were resolved, which they were. I went back to Facebook and thanked both companies for addressing the issues. Be relevant. Posting information of value like product updates, tips to improve usability and links to knowledgebase articles keep followers engaged and knowledgeable about your company and all you have to offer. Use social media to build awareness of your brand and trust. Make performance a priority. Measure, report on and take action on service level agreements, key performance indicators and supervisory data to ensure customer service remains at the center of social customer care efforts. The best way for a company to measure the effect of social efforts is to look at overall customer sentiment. I recommend a three-question Net Promoter Score survey. Today, companies need a cohesive and integrated customer contract strategy that goes across all channels, for all purposes as well as all customers and prospects. Also, check out Hubspot's Ultimate Guide to Customer Support. I've been a Hubspot customer for a number of years and they do a great job.